Fitting an approved axle wheel lock to your caravan is not only more secure than a traditional wheel clamp but it will also save you money on your caravan insurance. In this Frequently Asked Question video, Paul Jones, from AL-KO shows us how to fit their AL-KO Secure wheel lock to a caravan. An axle wheel lock makes it more difficult for thieves as it attaches to the chassis of the caravan, locking the caravan wheel in place. The locking bolt also has numerous combinations, adding to the security of the product. Axle wheel locks can sometimes be a bit tricky to fit as the caravan wheel has to be aligned with the receiver in the chassis, so the locking plate can be inserted through the wheel and into the receiver. 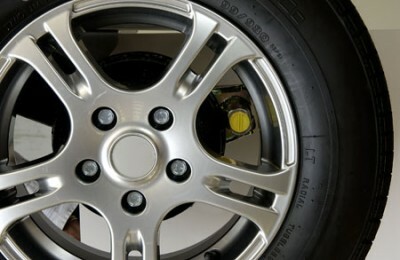 The locking bolt then stops the wheel from rotating. Many new caravans from 2006 are built with a receiver for an axle wheel lock, and some manufacturers will include a lock as part of the standard equipment, or a dealer might offer a lock as part of their sales package. Alternatively you can buy an axle wheel lock directly from your dealership, a caravan accessory store or at a caravan show. To check if your caravan has a receiver, look through your caravan’s nearside alloy wheel and see if you can spot a small yellow plug or threaded post behind it. The locking plate fits into the receiver from the outside, sitting on the caravan wheel, with the locking bolt going through and into the receiver in the wheel and caravan chassis. The locking bolt is then tightened and finally you insert a barrel locking key into the lock to secure the lock in place. Here at Caravan Guard we offer a caravan insurance discount to customers who fit an AL-KO Secure axle wheel lock and other approved locks. 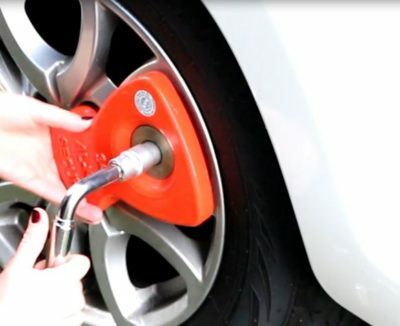 Click here for more information about the AL-KO Secure wheel lock. As my Caravan fills my drive (except 100mm), this design can be a nightmare as often caravan has to be jacked up to align, then fit lock and lower caravan back down. Just hoping that there is no movement when lowering, as that could jam the lock against the wheel, thus preventing straightforward removal unless the caravan is jacked up again. Which is a right pain. Having a receiver on both sides of caravan would help, although not eliminate problems. Great device, as previous comments can be a bit tricky if not aligned properly but we do have a mover and can get it spot on. one thing to watch for is where the tyre valve lands. if you are unlucky enough for the valve to end up at the lock position (which we have had happen to us)jacking the van up and spinning the wheel has been the only option for us. A great video. providing your caravan wheels are 4 feet off the ground, and not attached to the caravan! Yes, we accept it’s a lot easier on a demonstration wheel! It is a pain. I have a post cemented in the ground to lock the hitch. You cannot use a post and the motor mover to line everything up. The only way is to jack the van up. Turn the wheel and then fit the wheel lock. Thanks Alison. Yes a motor mover will make the job much easier. One of the many benefits of having one fitted to your caravan!